AUTHOR: The urge to write first struck at age sixteen when working on a newsletter at a youth encampment in the woods of northern Maine. It may have been the wild night when lightning flashed at sunset followed by the northern lights rippling after dark. Or maybe it was the newsletter's editor, a girl with eyes the color of the ocean. But he was inspired to write about the blurry line between reality and the fantastic. Using two fingers and lots of white-out, he religiously typed five pages a day throughout college and well into his twenties. Then life intervened. He paused to raise two sons and pursue a career, in the process -- and without prior plan -- becoming a well-known entrepreneur in the software industry, founding several successful companies. When he found time again to daydream, the urge to write returned. David and his wife split their time between Cape Cod, Florida and anywhere else that catches their fancy. He no longer limits himself to five pages a day and is thankful every keystroke for the invention of the word processor. In this deceptively simple adventure/quest story, David Litwick manages to create a rich theocracy, its opposition and raises many valuable philosophical questions. Set in a dystopian future where society lives peacefully and simply by following the rules of the Temple of Light, three friends accidentally stumble upon an ancient quest that will overthrow the Temple and allow society to reclaim the lost knowledge and technology of the past. The world Litwick creates is rich and believable and he manages to paint us a picture of the religious views of his characters skillfully, building layers and drip feeding. The information he imparts is done without taking away from the narrative itself or resorting to a several page essay laying out their ideals. This novel is thought provoking pushing the reader to question what price they would pay for peace, how important human ambition is, and what are the boundaries of loyalty among others. 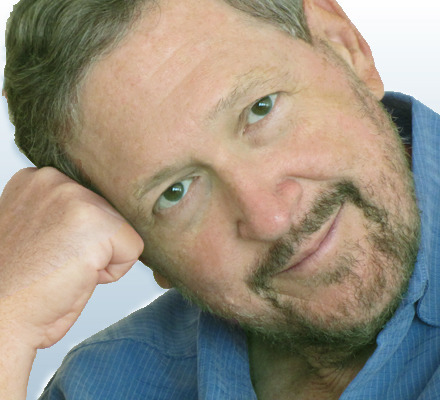 Although there is a clear good guy (the seekers) and bad guy (vicars from the Temple of Light) Litwick paints both sides sympathetically and allows the good guys to have faults, doubts and no clear pre-set fervor so that the reader is able to see all sides of the theological arguments without prejudice and make up their own minds. I'm intrigued to read the next one and will definitely be looking at his other works. There is little "action" in the book and it is more suited to fans of the Giver Quartet rather the Hunger Games Trilogy. 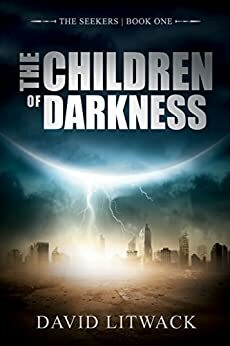 A quest, the darkness, the light, adventure, a rigid theocracy and philosophical debate...an excellent way to capture imagination. There is a twist, however, what is really the darkness and what is the light? As three friends discover, all is not what it seems in this dystopian tale - one of hypocrisy, corruption and lies. The play on power is an interesting one, though recognisable, when we learn that those that rule (despite some true believers in their cause) supposedly despise the ways and technology of the past, yet use them to keep tight control, so that fear and ignorance deliver that very control. A well-written story with believable and developed characters, set in a chilling world where original thought is banned and nothing moves forward. 5.0 out of 5 starsGreat Dystopian Novel that will leave you wanting more. 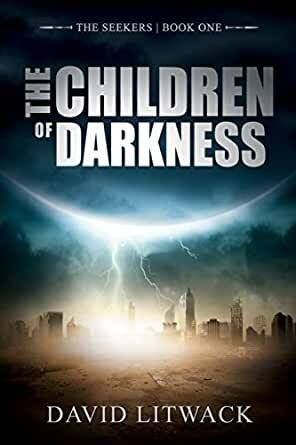 Read the first chapter of The Children of Darkness by David Litwack. It's a story that packs more mythology, world building and intrigue into said first chapter than most manage in a whole book. Go on try it now. Once you have you will compelled to read the rest. I'm already itching to start the second volume. If you like fantasy or dystopian novels this can't be recommended highly enough. When three friends find the courage to question the oppressive ways of the Temple of Light they embark on an epic quest to discover the ways of the old world. A real page turner with exciting characters that sets things up nicely for book two. I got this book as a book club freebie. It impressed me so much that I contacted the author for help in obtaining the series for my eReader, so forgive any bias in this review. I found the book well-written and the characters well-drawn with good dialogue and pace. Other reviewers have mentioned the book's philosophical arguments but these did not trouble me at all. The ending was perhaps a little weak, but remember that this is part of a trilogy and not a standalone novel. Perhaps my biggest recommendation is the fact that I began reading the second book in the series ("The Stuff of Stars") immediately after completing this one. So far my only complaint is that book 2 has switched to a first person singular narrative. In conclusion, then, get this book!